Aurangzeb defeated Dara at Dharmat(1658), Samugarh(1658) and Deorai in which Samugarh was decicive one and Deorai was last one. After victory, Aurangzeb was crowned at Delhi under the tittle Alamgir. He ruled for 50 years till his death in Feb, 1707 in Ahmadnagar. 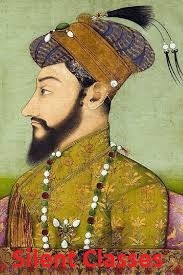 During the first 23 years of the rule(1658-81) Aurangzeb concentrated on North India. The 10th and last Sikh Guru, Guru Gobind Singh, son of Guru Teg Bahadur, organised his followers into militant force called Khalsa to fight the muslim tyranny adavenge the murder of his father. Guru Gobind Singh was, However murdered in 1708 by an Afghan at Nander in Deccan. Banda Bairagi, the militant successor of Guru Gobind Singh continued the war against Mughals. Aurangzeb left the North in 1682 and for the next 25 years(1682-1707) made desperate bids to crush the Marathas. Shivaji was the most powerful Maratha king an arch enemy of Aurangzeb. When Aurangzeb could not eliminate Shivaji. On a assurance given by Jai Singh, Shivaji visited Aurangzeb's court. Shivaji was imprisoned by Aurangzeb but the managed to escape and 1674 proclaimed himself and independent monarch. He died in 1680 and was succeeded by his son Sambha ji, who was executed by Aurangzeb in 1689. The mughal conquests reached a climax during Aurangzeb's reign, as a Bijapur and Golconda were annexed in 1686 and 1687, respectively. Aurangzeb died in 1707. He was buried Khuldabed. He was called Zinda Pir, the living saint. Gautam Budhha, founder of Buddhism, was born in 563 BC on the vaisakha purnima day at Lumbinivana in kapilvastu in the Shakya khatriya clan. His father Suddhdhana was the republican king of kapilvastu and mother Mahamaya was a princess of Kosala dynasty. After his mother's early death, he was brought up by his step mother and aunt Mahaprajapati Gauatami. His father married him at an early age to Yashodhara from whom he had a son Rahul. Four sights-an old man, a deseased person, a dead body and ascetic-proved to be a turning point in his carrier. At the age of 29, he renounced home, this was his Mahabhinishakramana and become a wandering ascetic. His first teacher was Alara Kalama from whom he learnt the technique of maditation. His next teacher was Udraka Ramputra. At the age of 35, under a pipal tree at Uruvella on the bank of river Niranjana he attained Nirvana after 49 days of continuous meditation; now he was fully enlightened. 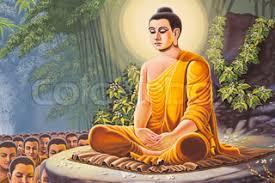 Buddha deliverd his first sermon at Sarnath to his five deciples, this is known as Dharmachakra Pravartana. He died at the age of 80 in 483 BC at Kushinagar (identical with the village kasia in Siddhartanagar janapada of Deoria district of U.P.). This is known as Mahaparinirvana. Kanthaka- Buddha's horse, Channa- Buddha's charioteer, Devadatta- Buddha's cousin, Sujata- the farmer's daughter who gave him rice milk at bodh gaya and Other names of buddha- Gautam, Siddhartha, Shakya Muni. Hello Friends, Today I will tell you the essays of A Visit to a Historical Place. So if you like our post, please share it. Introduction :- In India, we can get to see a lot of historical places. It is therefore very important for students to visit at least a few of them. Place of Visit :- There are many beautiful and worth seeing historical places in India. It is a dreamvin marble. India has many beautiful and historical places. Description :- After enjoying a comfortable journey of train we reached Agra, then the historical monument, the Taj Mahal. We were spell bound to see the beauty of the Taj Mahal. The Taj Mahal is surrounded by a cypress garden on three sides. It is situated on the bank of river Yamuna which lends charm to its beauty. the surrounding and the garden add luster to its architecture. The beauty of the Taj Beggars description. In the moonlit night, It's glory and Splender become unique. It is matchless in beauty. Conclusion :- By noon, we had completed the tour and started our return journy to Delhi. I was reminded of the English lady who, on seeing the Taj Mahal, had said to her husband," If you promise to build a monument like Taj in my memory, I am ready to die right now." So Thanks a Lot Guys for Visiting our site. If you Like Our Post So Please Share it and Feedback Please, Because we want make better it. So please You all support me. I am Arvaz Rizvi, Author of this Website. I want to give you a job. The Typing Job, It's Amazing for parts time. you can earn money by type news and other apartments. So interested persons can contact me.